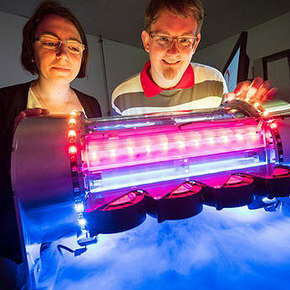 An innovative refrigerant system powered by artificial muscles can cool the air three times more efficiently than conventional methods. The system, developed by a team from Saarland University, is made up of a rotating cylinder with bundles of shape-memory, nitinol wires attached to its surface. The nitinol wires will absorb and release heat when bent and then returned their original shape, with a different up to 36°F. As the cylinder rotates, the bent wires will absorb heat, then shift back to their original shape and release the heat on the other side. This simple setup allows the device to be used as either a heat pump or a refrigerator. benefits a lot to HVACR and refrigerant industry. Please keep me updated about progress related to this innovation. More environment friendly than any other prevalent technologies.